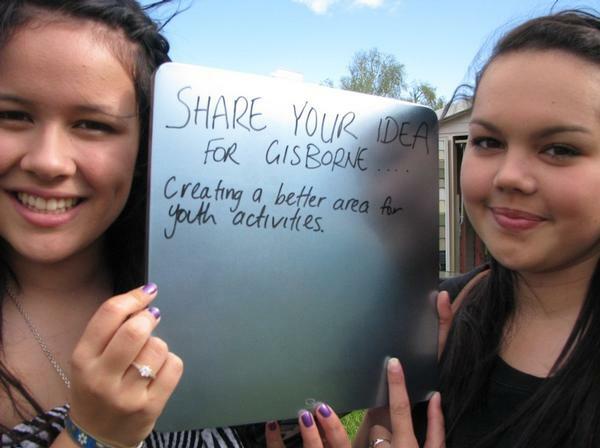 Gisborne District Council’s 2012-22 Ten Year Plan was adopted last week (28 June 2012) with the unanimous support of all Councillors. The adoption marks the beginning of a new phase implementing the many projects outlined in the plan. It will be Council’s blueprint to move the district forward by redeveloping our important community facilities. While a number of these projects have been on the books for some time, a lot of effort has gone into making sure they are realistic and we are now in a better position to make them happen, says community planning and development manager Nedine Thatcher-Swann. Between August and October last year Council ran public meetings and attended a number of events, including Te Unga Mai and the A&P Show, to get feedback on which projects Council should prioritise in the next ten years. Over 200 submissions were received which fed into the draft Ten Year Plan. There was support for upgrading the HB Williams Memorial Library, progressing inner harbour development and the Tairāwhiti navigations project, upgrading the War Memorial Theatre, repairing the Cenotaph and redeveloping the Olympic Pool. It was at this stage that proposals for a civic centre and recreational centre attached to the Olympic Pool were taken out of the plan due to a lack of community support. A proposal to close three rural transfer stations was also rejected after feedback from the affected communities. New information was received about the robustness of the Waipaoa River flood protection scheme which indicated that it did not need significant upgrading to protect Poverty Bay from a one-in-a-100 year flood. As part of the plan Council reviewed all of its rating policies at a series of workshops. These policies set out who pays for what, where the money comes from and how it's spent. This process considers the major parts of each activity we do, who creates the need for it and who benefits from it. In March a summary of the draft Ten Year Plan, which included all the major projects and key changes to the revenue and finance policies, was delivered into every letterbox in the Gisborne district and the public were asked to make submissions on the plan. Last month Council listened to 75 groups and people speak to their submissions and considered 263 written submissions. Councillors made a number of decisions that resulted in some changes to the draft plan. One of the changes was to bring forward all our cycle and walkway projects. Yet again these projects received the most support from those submitting. Other changes included starting to plan for the upgrade of the Olympic Pool earlier, changing the hours of operation for the city bus services, building more bus shelters, increasing parking fees and contributing to the investigation costs of a Kaiti Sports and Youth Hub. Council received a lot of submissions on the changes to rating policies. After further consideration a proposed new targeted stormwater rate based on capital value has been shelved. It will be reviewed further over the next 12 months. A new targeted rate for Waiapu River Erosion Control will be included in the plan - 60% will be paid for by direct beneficiaries - mainly Ruatoria ratepayers. A proposed new targeted rate for river channel maintenance has been put on hold for a year. A copy of the full 2012-22 Ten Year Plan will be available from Council’s website next week. Copies will be available at council offices in Fitzherbert Street and Te Puia Springs and at the HB Williams Memorial Library.